A good company should make sure employees really can work their way up through the organization, according to Sir Terry Leahy. Chief executive of Tesco between 1997 and 2011, Leahy is his own best example, having first stirred his passion for the retailer while stacking shelves during school holidays as a young adult. 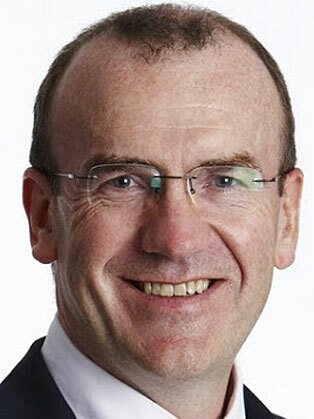 Knighted for services to food retailing in the 2002 New Year Honours, Leahy is known for transforming the supermarket industry in Britain, growing Tesco to the largest chain in the country and disrupting the businesses of its competitors. Experts credit Leahy’s success to his hands-on style and marketing prowess, while Leahy places focus on experience and low-key leadership. Terry joined Tesco in 1979 as a Marketing Executive and was promoted to Marketing Manager in 1981. From 1984 to 1986 he held the position of Marketing Director for Tesco Stores Ltd. He was appointed Commercial Director of Fresh Foods in 1986. Appointed to the Board of Tesco PLC as Marketing Director in 1992, and was appointed Deputy Managing Director in February 1995. He is the man behind the Clubcard loyalty scheme which gave supermarkets access to vital customer behaviour information for the first time and led to innovations in both products and services based on data analysis. As a result Tesco now offers a wide range of services, including insurance, broadband internet, credit cards and Child Trust Funds. He also introduced the local, Tesco Metro concept. In 2011 Terry announced his retirement in order to concentrate on ‘private investment’ and published his first book, Management in 10 Words. The book draws on his own experience as a business leader and innovator, offering advice on how to motivate people and create customer loyalty as well as setting ambitious targets and the practical tools needed to make it all happen. In March 2008 he was nominated by Retail Week as Retail Leader of the Year. From 2005 to 2010 he was voted as Britain’s Most Admired Leader by Management Today and in 2004 he was named European Businessman of the year by Fortune Magazine. In 2010 he received the Daily Telegraph’s Award for a Decade of Excellence in Business a Lifetime Achievement aware from Director Magazine and was voted Business Person of the Year by the Sunday Times.